Speaking of old travel posters, the London Transport Museum are holding another of their fascinating talks for The art of the poster – a century of design. A few weeks ago a group of us went to one on the prolific graphic designer Abram Games. 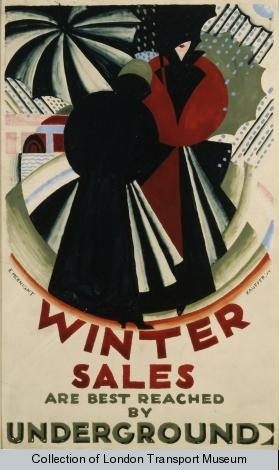 On Tuesday 25th November, fashion historian, Emmanuelle Dirix, will discuss how London Underground posters were designed to appeal to women in the 1920s and 1930s. "It became apparent that ‘posters accompanied the housewife all the way from her front door to the shop window’, resulting in a new style of poster emerging to cater for this new consumer audience." It begins at 18.30 and tickets are £8.00 adults; £6.00 concessions; £4.00 student. They can be pre booked on 020 7565 7298 and full details are on their website. The poster above made me think about how London Transport deal with shopping now. I can't say I've seen one recent poster about getting to the shops by Tube. 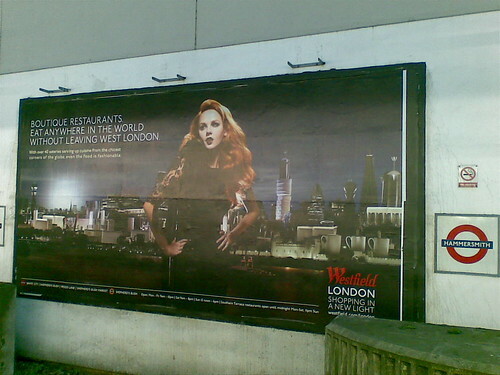 There are a lot of posters on the London Underground for the new massive Westfield Shopping Centre. But they're clearly designed by Westfield themselves and although there's some advice on the best stations to use to visit (Wood Lane, Shepherd's Bush Market & White City), it's almost tacked on as an afterthought. I wonder if Westfield will eventually work together with TfL to get something more like the older posters. On the subject of shopping, you might have seen some Tweets where I was treated to a day out at Bicester Village. I've not been to Westfield yet (despite living quite close) but will be interesting to compare the two experiences. Bicester Village is about an hour away from London and has about 120 shops in it. They have designer outlets selling last season (or older) stuff very reduced prices. 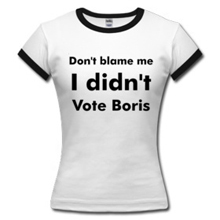 As I'm not a complete fashion victim (yet) it was fine for me & I grabbed some bargains. I also had some "Handbag Therapy", where a lovely lady called Debbie Piercy looked at the contents of my bag and managed to be surprisingly insightful on what it said about my character. If you fancy uploading a photo of "What's in your Handbag", you can get "analysed" & also have the chance of winning £1,000 shopping spree too.